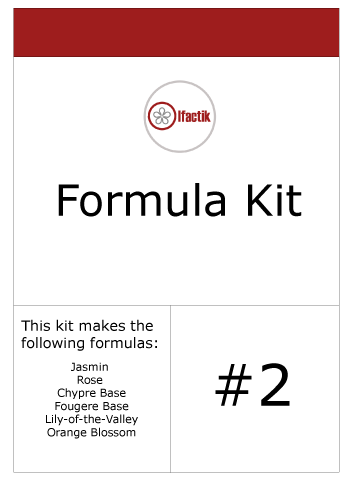 Formula Kit #2 contains all the ingredients to make 2 of the most historically important and popular perfume types (Chypre and Fougere) and x4 key floral bases. 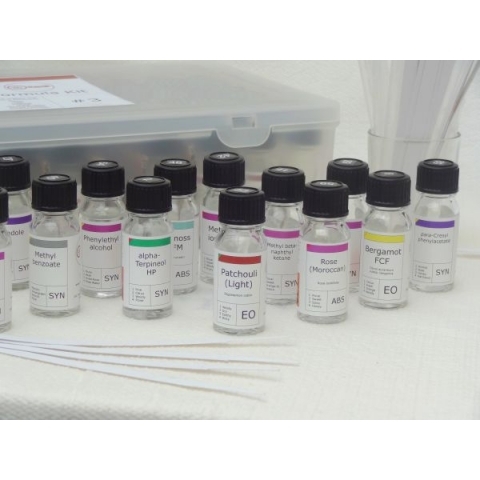 This kit provides a good starting point to create a variety of fragrance types. 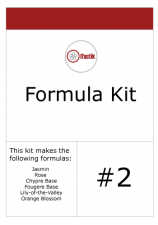 The kit includes the basic equipment needed, along with simple step-by-step instructions and a written formula for each fragrance. We also provide additional suggestions for personaling each forumula to give it a unique edge. 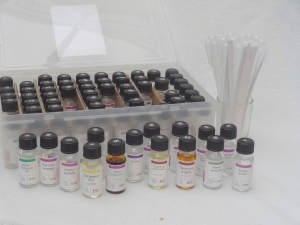 Purchasing a kit in this way also gives the benefit of a 10% cost saving on ingredients. Please allow 3-4 days lead time to prepare and ship our kits.